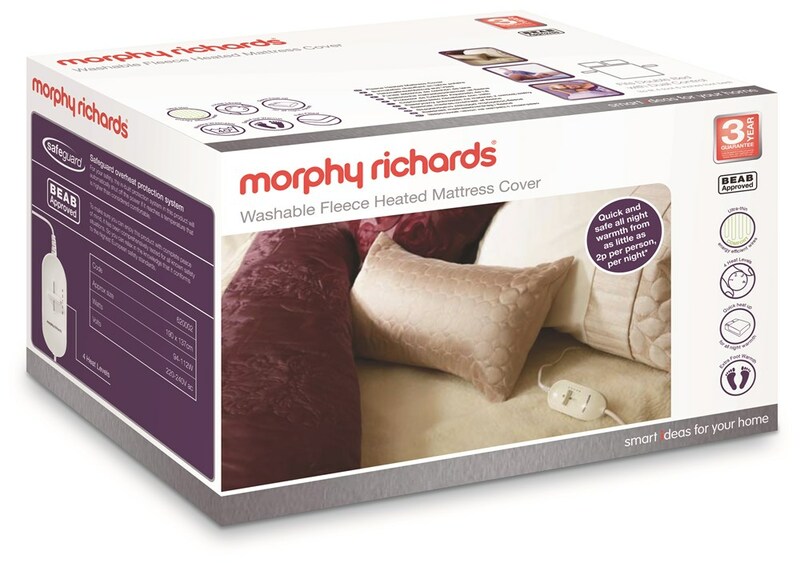 Stay warm and cosy on chilly winter nights with the Morphy Richards range of electric blankets. Our heated underblankets and heated mattress covers are washable, economical and all come approved by European Safety Standards. Why not keep warm in winter with our range of underblankets. Available in single, double and king, there’s a size to suit you. Our range of washable fleece mattress covers are the ideal way to keep you warm when it’s cold outside.